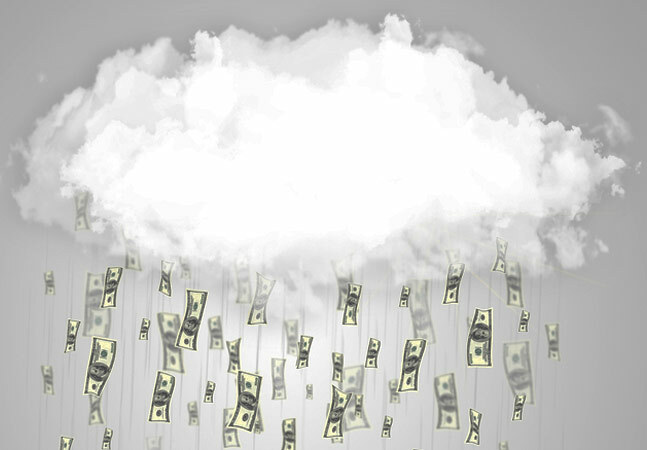 In the fourth quarter of 2014, Amazon Web Services Inc. (AWS) garnered 30 percent of the worldwide cloud infrastructure services provider market on the strength of 25 percent revenue growth from the third quarter, according to new data from Synergy Research Group. That's a five-year high, according to the research firm, and it came even with strong challenges in growth from primary cloud provider competitors Microsoft and Google Inc.
For the entire year, AWS achieved 28 percent makret share, putting it at No. 1 in the competitive space. The sizeable lead over Microsoft comes even after the Redmond software giant recorded the highest revenue growth year-on-year for its Azure cloud, with Google coming in second. "All three cloud operators outperformed the total market growth and gained market share," the research company said. "IBM growth was broadly in line with the market so its overall market share held steady, while it continued to lead in the private and hybrid service segment." Synergy estimated the burgeoning market -- counting private and hybrid clouds and Infrastructure-as-a-Service (IaaS) and Platform-as-a-Service (PaaS) offerings -- are approaching a $5 billion milestone. "Many actual or perceived barriers to cloud adoption have now been removed and the worldwide market is on a strong growth trajectory," said company exec John Dinsdale. "The momentum that has been built up at AWS and Microsoft is particularly impressive. They have an ever-broadening portfolio of services and they are also benefitting from a slowdown in the super-aggressive price competition that was a feature of the first half of 2014."